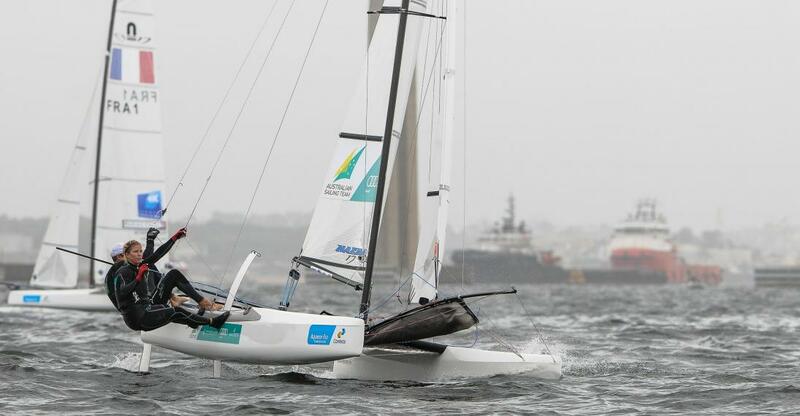 The Australian Sailing Team won two Silver medals at the first Olympic Test event for the 2016 Rio de Janeiro Olympic Games overnight: Olympic gold medallists Nathan Outteridge (NSW) and Iain Jensen (NSW) won silver in the 49er class while dual Olympic silver medallist Darren Bundock (NSW) and Olympic silver medallist and RPAYC member Nina Curtis (NSW) took home the silver medal in the Nacra 17. Picture by and courtesy Christine Hopton, 2014. L to R.: Kumi and Dan Fitzgibbon, Bob Bennett and Hugh Treharne aboard Another Challenge. - John Illinsworth picture. Pittwater Pathways (John Illingsworth) has launched another wonderful film this week about the IdS program at Royal Prince Alfred Yacht Club with Dan Fitzgibbon, Australia's gold paralympian, showing all how it's done aboard Another Challenge. The IdS yacht racing program integrates disAbled and able-bodied sailors, with or without sailing experience. 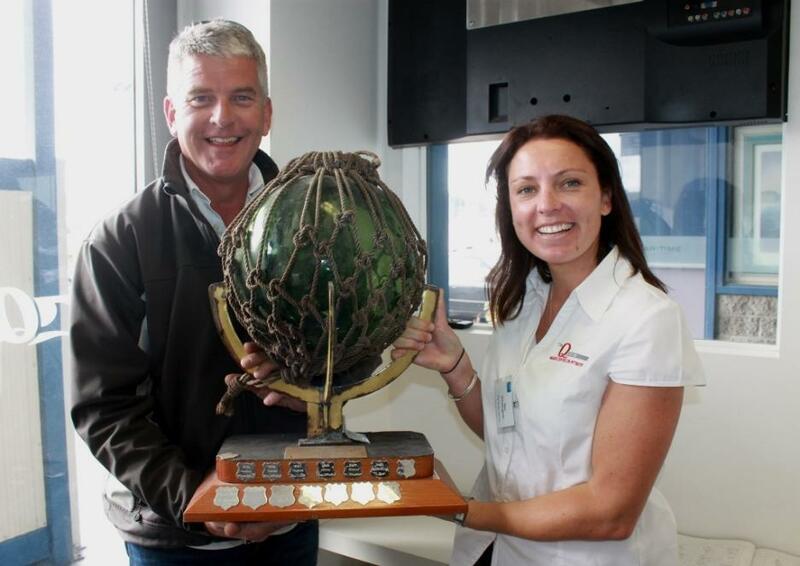 Stephen Hosking - Marina Manager at The Quays, Church Point, with Dee O'Callaghan holding the Putt Putt Regatta Cup - which they won this year - and now they are accredited winners for fish and our environment too! The Quays Marina at Church Point are winners for our community and our environment - on Friday they were awarded a 'Fish Friendly' accreditation by NSW Environment Minister and Pittwater MP, Rob Stokes. The RPAYC and Empire Marina Bobbin Head also received the 'Fish Friendly' accreditation. 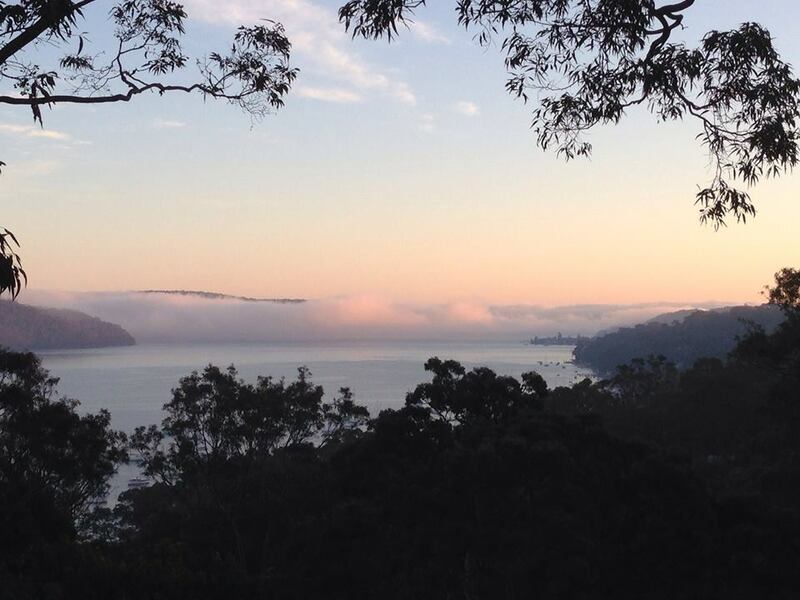 We spoke with Mr Hoskings after the ceremony as he showed Mayor of Pittwater, Cr. Jacqueline Townsend, what changes have been made to ensure this marina is attracting fish back to its berths and not contributing pollution to the Pittwater estuary. 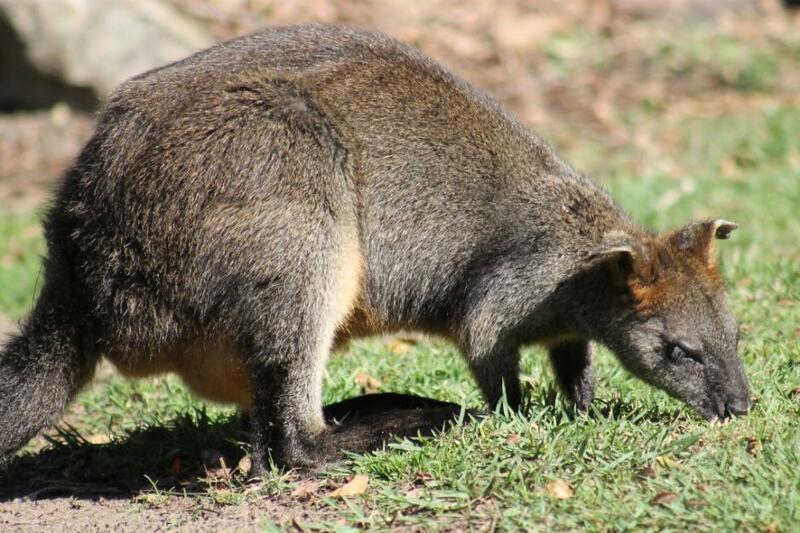 Swamp Wallaby at Currawong Beach - picture by A J Guesdon, 2014. When visiting Currawong or the Youth Hostel at Morning Bay you are aware that these road free areas are safe for all living there - wallabies, bush turkeys, all take you in without fear, allow you to be in their world. The same does not apply to our roads where every singly day another native animal is hit by a car or truck. As many people know the upgrades of Mona Vale Road have been divided into three stages. Stage One is currently underway (between Foley Street and Daydream Street). Both Stage Two and Stage Three have fauna connectivity considerations and various options including fauna overpasses and underpasses are being examined as part of the concept design processes. Community Consultation on Stage Two (between Mona Vale and Ingleside) is expected to begin later this year and will also include fauna connectivity options. IN the meantime, apart from checking the pouches of stricken creatures for young, there are a few other points of which you may contribute to keeping the environment in our environment.